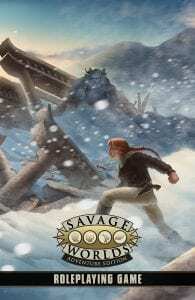 Have you ever wanted a hand converting a real vehicle into Savage Worlds stats? 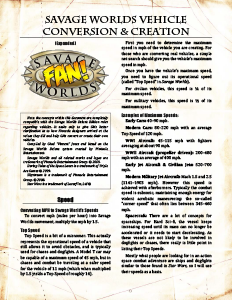 Savage fan Chad “Vinzent” Jones has put together the Savage Worlds Vehicle Conversion & Creation PDF just for you! 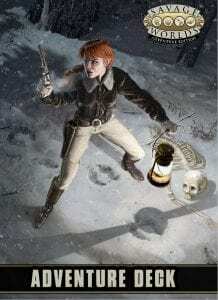 Working under the Savage Fan License, he’s assembled an updated document compatible with the Savage Worlds Deluxe Edition vehicle rules to clarify how Pinnacle designers arrived at the values in the rule books and help GMs convert or create their own vehicles. From Model Ts to Starcruisers from a galaxy far, far away, this handy little reference has you covered. 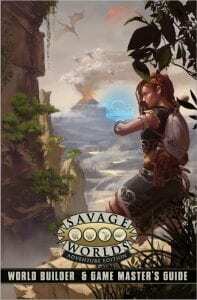 While you’re at it, be sure to check out the rest of our free downloads for other resources like game references, character sheets, paper minis, and more!